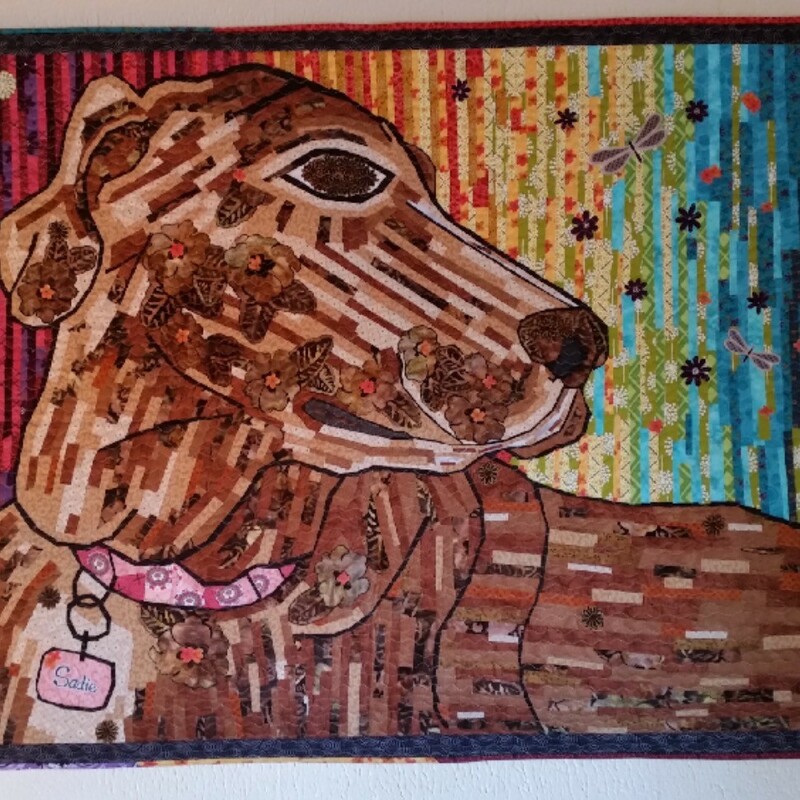 This is a collage quilted wall hanging of my dog Sadie. Sadie is currently 14 years old and she now has a cancerous lump on her back leg that can't be removed. She isn't bothered by it at this time.